No movie marathon is complete without plenty of Popcorn and other snacks. 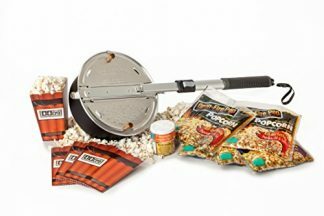 So before you and your friends schedule another slumber party and movie/Netflix marathon, make sure you go prepared with this home Popcorn-making machine! If the movie turns out to be bad, well at least you get to eat lots of Popcorn. What’s a movie or Netflix marathon without a huge batch of popcorn at your side? The viewing experience is never complete! Popcorn is the best, traditional snack for every movie night. 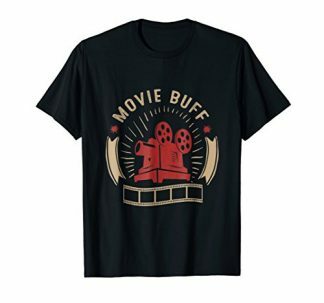 It’s great for any kind of movie – whether good or bad, because if the movie is bad, at least the popcorn is not – right? 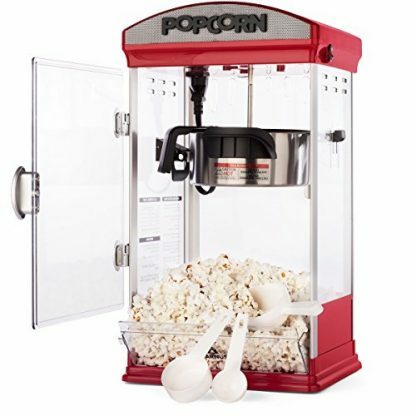 Bring the complete movie house experience at home with this popcorn maker machine! It brings in the style, aroma, and popcorn snacks (of course) in every movie marathon session at home. You don’t have to go to the theaters just to enjoy this delectable snack, experience it right at the comfort of your home without worries! Dimensions: 11.9 x 11.7 x 21.8 inches. 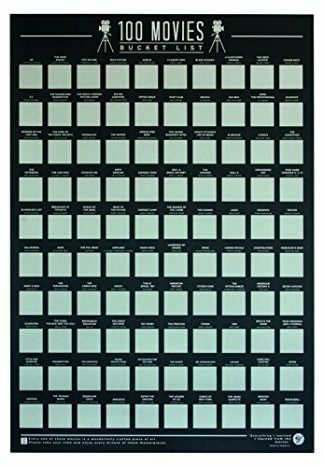 Fits in most kitchen counters and small tables. Comes with a guaranteed 1-year manufacturer’s warranty. Comes with an instructional chart. Carnus popcorn maker has a chart that tells you how much oil to add per ¼ cup of popcorn kernels. Plug the 4 oz. kettle popcorn machine into a 120V outlet to turn it on. As the sound of the popping slows, the machine can be turned off. Then open up and enjoy the popcorn! Users can also add their flavoring or seasoning of choice. This is the perfect gift for a friend who loves to binge watch episodes of their favorite TV shows, or for friends who love to invite you over for a movie marathon and slumber party! Have friends and family enjoy the movie with a healthy and cheaper batch of popcorn right at the comfort of your home. Bring the magic of the theaters home with this classic, Carnus popcorn maker for homes. You could have it yourself, or surprise a friend on their birthday with this unique gift!